At Kids Kingdom Sports Center, home of Euro Stars Gymnastics, we believe that gymnastics is a versatile sport that can be a fun activity for all. For that reason, we do not carry the belief that a child is too old, too tall, or too anything to give gymnastics a try. We offer classes for toddlers to teens! As children progress, they are evaluated and students can move up to different classes based on their progression. See our course offerings. In general, students are offered courses on their age, and from there we offer a variety of developmental programs based on their current level, but students can change courses based on their progress or need. 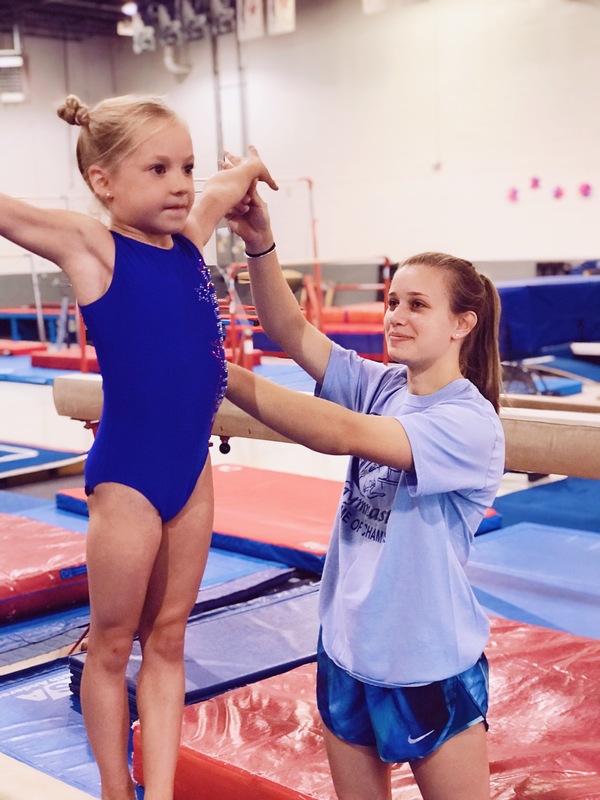 Students who wish to become competitive gymnasts often take two classes each week to help progress more rapidly toward our pre-team program. Students who wish to learn routines, but not compete can opt to stay in our in-house team. Those on our in-house team are able to learn routines in alignment with USAG, but can be modified based on their individual skill level. Girls on the in-house team are eligible to change to our competitive route based on their progress and desire. Enrollment in our in-house team is by invitation only. Wondering if you’re ready? Ask for an evaluation at your next class. Generally, girls who have completed Shining Stars for after a full year of Little Stars, Future Stars or Bright Stars or above are eligible for in-house. 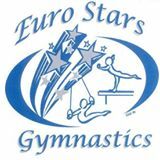 First Class at Euro Stars? Here are the recommended intro classes for most kids. Girls who complete Little Stars can move to Shining Stars, Future Stars or Starter Stars. Girls who complete Shining Stars can move to Future Stars, or a developmental program or to Bright Stars. Girls who complete Starter Stars can move to Bright Stars. Evaluation is done in class in December and March. Students who progress quickly or show promise may move up levels as needed. Students who are not yet ready for a class can opt for another class. For example, some 5 year olds may not be ready for an hour long class and may do better in Tiny Twinkler, and that is okay! Some 3 year olds are able to move up to Tiny Twinkler as well. This is a general guideline and based on instructor recommendation with parent input. Students may be invited to invite only classes or programs. If your family’s desire is for competitive gymnastics, please let us know so we can ensure that the coaches are aware and so we can recommend additional class placement.